Self-preservation is a reality that Pietro Brnwa knows all too well. Growing up in northern New Jersey, Pietro was abandoned by his negligent parents at an early age. His ova and sperm donors gradually succumbed to the weight of responsibility and in turn decided to embrace their lost youth. Pietro was subsequently taken in by his grandparents who were later murdered in what on the surface looked like a botched robbery, but with a keen eye observing the scene, it had all the markings of an assassination. Pietro was adopted by his Uncle Barry as a means to stay out of the foster care system and maintain some stability by holding up residence at his grandparent’s house. Not soon after all this personal trauma occurred, Batman and Charles Bronson became his role models and soon a plot for revenge became the motivation for his life. For fifteen months he suffered daily through the most intense training regiment in his efforts to become an expert in a variety of martial arts. Now all Pietro wants in this world is to find out who killed his grandparents. In his search he will learn a great lesson and understand that the search for revenge comes at a great cost. His aspirations will progressively lead to the manifestation of a career built on supplying another man’s hunger for power while taking advantage of a desperate need for justice. When these two forces collide the conclusion is inevitable and will force Pietro to rely on his natural instincts while insuring he exacts his revenge the only way he knows how. Peter Brown is not your typical medical intern. He is addicted to the same pills he prescribes on a daily basis, he keeps his ear to the streets of New York and has the physical abilities to separate someone’s head from his body in one fell swoop, (no women or children) when the situation calls for it. Essentially Dr. Brown is a human Swiss Army Knife with an awareness of his surroundings and a working knowledge of the impairments of the many different and ever-evolving pharmaceuticals he prescribes and indulges in himself. All Peter wants is to keep his eyes ahead, the past behind him, and to keep patients as well as himself from meeting the reaper. 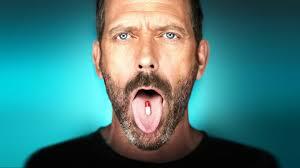 As demanding as his job is he can’t help but consume a daily cocktail of prescription pills to ease the many pains that ail him in order to get him through the day. He has spent seven years learning the ins and outs of the human body during his drawn out pursuit of becoming a doctor, it has taken its toll. Gradually, the environment is starting to eat at him an in response he is starting to hate it. There’s much more to the occupation than he initially thought, with the: crazy hours, the endless suffering, the helplessness, the personal feeling of inadequacy, the corruption, the politics and the inadequacies of others; he is starting to see his future without the profession. This book brought back some memories of a compromising childhood where watching Goodfellas was on par with The Wizard of Oz in terms of level of disturbance. Today, I am not sure what the correct answer would be, but if we were talking about The Wiz that would be your runaway winner. Some of the moments in Beat the Reaper, especially the case where the author describes the cosmetic hindrances of a tongue ring brought back that feeling in my stomach when I watched/heard Steven Seagal break that Jamaican dudes arm in the jewelry story in Marked for Death. I remember my dad telling me, while laughing hysterically that it was just a chicken bone and to chill out. This coming from a man, who winced, turned his head, crossed his legs, and grabbed his junk at the sight of a syringe. Lucky for me I have overcome this weakness, unfortunately for my father he is in his fifties and still struggling. What Josh Bazell reminded me, was the power of the written word and how enlightening it can be with respects to physiological responses. This truly is a story of past lives, new beginnings, justice and enduring love. All and all it is a very entertaining, descriptive, offensive, educational, scattered, and funny book. 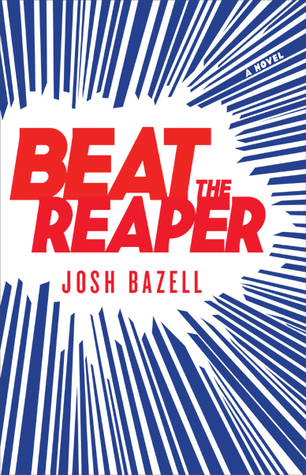 Josh Bazell has a great ability to engage his readers with an intriguing storyline, and drawing an unlikely compassion that inspires a rooting interest, and a feeling of pleasure that is transferred from his side of the page to mine. His ability to grab the reader’s attention from the first page and maintain his grasp through the end was second to none, (I felt like Magdalena in the water at the aquarium, just please don’t lick me). If I had one point of contention from this novel it would be that at times it dragged and plodded along, especially the courtroom scene and the resulting trial. A little less court conjecture a little more action please. Other than that I highly recommend this book and I personally look forward to reading more from this author in the future. “Humans hate being mentally strong and physically weak. The fact that we get to take this planet down with us when we go brings us no joy whatsoever.